As detailed in Meridian’s prior Trends and Developments in Executive Compensation Survey (2015 through early 2016), several factors were driving change in the executive compensation landscape in the U.S. These factors included market volatility, turmoil in commodity prices and political pressure for executive compensation reform in the final year of the Obama Administration. Through the balance of 2016 and into early 2017, several of these factors have been at least partially mitigated by increased macroeconomic stability, widespread share price appreciation in U.S. markets and the signaled directional changes under the Trump Administration. In regards to the latter, the status of pending Dodd-Frank mandates (e.g., clawback policies and pay-for-performance disclosure) are at a standstill, potentially reversing the tide in demand for increased corporate disclosure and regulation. In addition, the SEC has signaled a desire to solicit additional feedback on the controversial CEO Pay Ratio disclosure requirements that are due out next spring for calendar-year issuers. 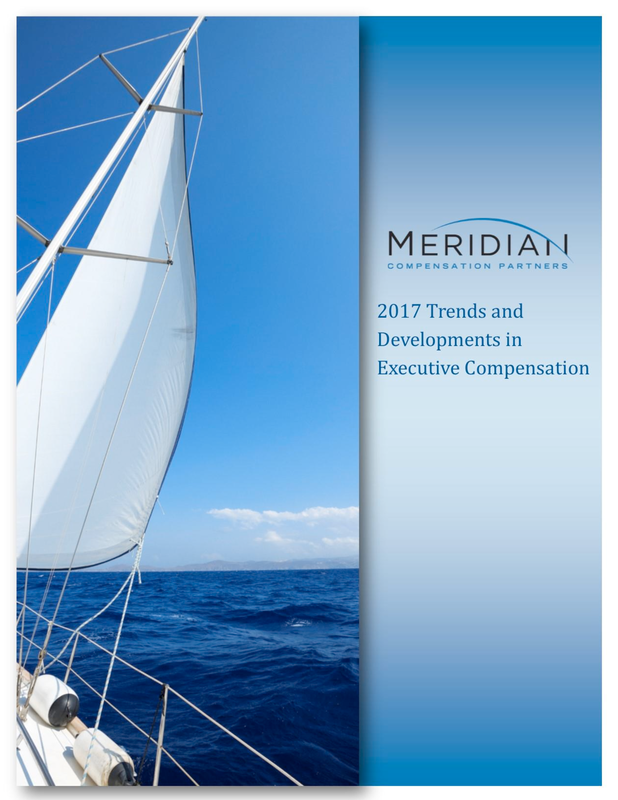 Accordingly, Meridian’s 2017 Trends and Developments in Executive Compensation Survey and its results are intended to provide an overview of the current environment and signal the direction in which companies are moving with respect to executive compensation and corporate governance practices. This survey features responses from 118 companies across a diverse range of industries, covering topics such as annual and long-term incentive plan designs, Say on Pay, the CEO pay ratio, and more. Nearly 60% of responding companies indicated that they directly engaged with institutional shareholders and/or proxy advisory firms (e.g., ISS and Glass Lewis) in preparation for their Say on Pay vote. 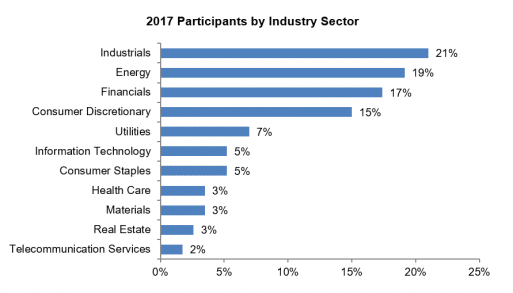 Well over one-half of participating companies engaged in shareholder outreach in 2016. Investor Relations led over 60% of these efforts, while the rest were led by a combination of individuals (e.g., Compensation Committee Chair, Head of HR, Corporate Secretary, CEO, CFO, etc.). In response to shareholder feedback, approximately one-half of participants have made a change to their annual and/or long-term incentive plans since the adoption of Say on Pay. Approximately one-half of participating companies have calculated the preliminary CEO Pay Ratio. Roughly 50% of these ratios fall at or below 150:1, indicating an inflection point near this ratio among survey participants. However, this ratio is highly dependent on company characteristics including global workforce, industry sector and company size. Consistent with recent years, median merit increases for CEOs, executives and non-executives continue to approximate 3%. However, slightly less than half of respondents reported holding CEO base salaries flat for 2017 (approximately 25% for other executives). This indicates that many companies may no longer be providing annual base pay increases to CEOs and, instead, are making more periodic adjustments based on significant market movements or other factors. Respondents generally consider multiple factors in the goal-setting process (e.g., approved annual budgets, company and peer historical performance, street guidance, sharing ratios, etc.). Nearly two-thirds of survey participants reported that annual incentive payouts for 2016 performance were at or above target levels. As a likely indication of a positive economic outlook, approximately one-half of respondents set a 2017 primary earnings-related threshold goal higher than 2016 actual results. Identical to last year, 46% of survey participants reported that 2017 target long-term incentive grant values approximated 2016 levels, while 43% reported target grant value increases for 2017 and 11% reported target value decreases for 2017. Both for those increasing and those decreasing grant values, the average change was 14%. The survey includes responses from 118 companies. These organizations are listed in the Appendix. Financial highlights for the participating organizations are presented in the table below. Say on Pay (SOP) is now in its seventh year of existence. Accordingly, companies have had ample time to develop sound pay program designs and address concerns expressed by shareholders and proxy advisory firms. As such, shareholder support of executive pay programs remains very high, most often with over 90% voting in favor of such proposals. 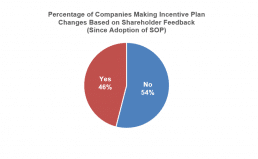 Despite consistently high levels of shareholder support on SOP, a significant number of companies take numerous steps in preparation of the vote. The most prevalent step taken is to directly engage with institutional shareholders and/or proxy advisory firms (i.e., ISS and Glass Lewis). Further, companies continue to improve the quality of their Compensation Discussion and Analysis (CD&A) through the use of executive summaries, tables, charts and graphs. Many of these supplemental disclosures exceed proxy disclosure requirements; thus, they are a useful tool to more effectively communicate overall pay program design and performance alignment to shareholders. Among survey participants, more than half disclosed attempts at shareholder engagement in 2016. Most of these efforts (approximately 60%) were led by Investor Relations personnel, however, the rest were led by a wide variety of individuals. Participant response seems to indicate that company-specific circumstances likely dictate which individuals lead these efforts. 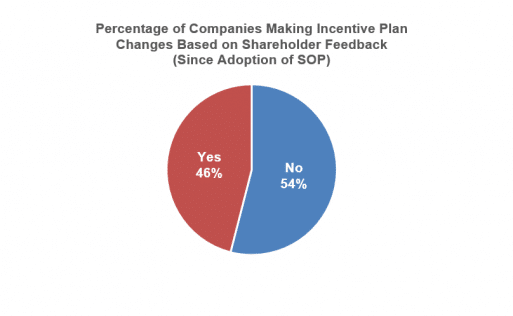 To attempt to quantify SOP’s impact on driving change, Meridian asked participants if their organization has made modifications to annual or long-term incentive plan metrics/design in direct response to shareholder feedback. Slightly less than half of participants have made such a change since the adoption of SOP. Thirty percent (30%) have a ratio below 100:1. One-half of these preliminary ratios fall at or below 150:1, indicating an inflection point near this ratio. The companies at the higher end of the range (i.e., greater than 500:1) fall into a few industries: Consumer Discretionary, Consumer Staples and Retail. 2017 merit budget increases for CEOs and executives have remained relatively consistent for several years at approximately 3% (slightly above U.S. inflation rates). Merit budgets outside the U.S. vary greatly, often related to local inflationary movements. This continues a long-term trend of merit increases between 2.5% and 3.5%. However, for the second year in a row, a larger portion of participants reported holding CEO and executive base salaries flat (i.e., 0% merit increase) for 2017. This indicates that many companies may no longer be providing annual base pay increases to CEOs and other senior executives and, instead, are making more periodic adjustments based on significant market movements, promotions or other factors. Approximately 55% of responding companies increased base salaries between 2.5% and 3.5% for salaried employees. In contrast to CEO and Executive merit increases, less than 10% of participants reported holding base salaries flat for salaried non-exempt employees. Approximately 65% of responding companies indicated that their annual incentive payouts for 2016 performance were at or above target. 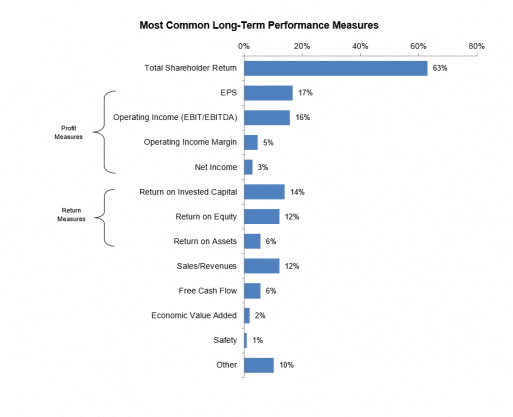 Among those using one performance metric, the vast majority use a profit measure (e.g., operating income, net income, EPS, etc.). 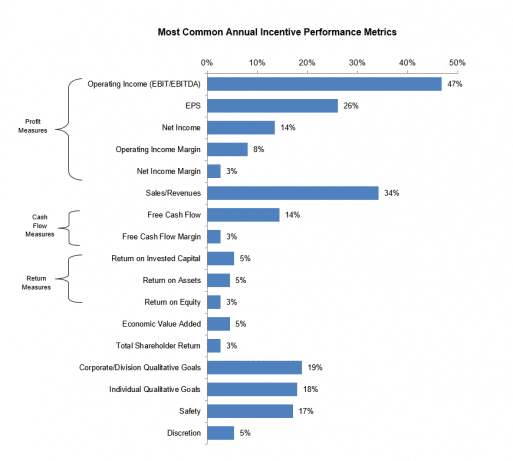 The chart below details the prevalence of performance metrics used by companies for determining annual incentive payouts. 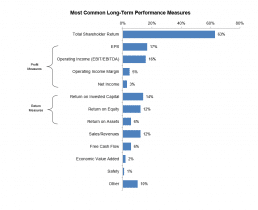 As expected, profit measures (e.g., operating income, net income, and EPS) remain the most common. Note, many metrics are industry specific, and some are unique to individual companies. In start contrast to long-term incentive plans, the use of either absolute or relative TSR remains very low for annual incentive plans. Similar to last year, a majority of companies (58%) set their annual incentive performance goals higher in 2017 than in 2016, indicating increased expectations as the broader economy stabilizes. For many participants (42%), the performance goal increase was more than 5% higher than 2016 levels. Also similar to last year, approximately one-half of companies (51%) also set 2017 threshold earnings goals above 2016 actual results (i.e., all 2017 goals – threshold, target, and maximum – are above 2016 actuals). Consistent with prior years, annual budget/plan and historical results are the two most commonly reported factors evaluated when setting annual goals. Sharing ratios are the least prevalent, however, nearly one-fifth of participating companies still consider them when setting annual incentive goals. Note, data on sharing ratios is limited and varies due to a number of company-specific factors, including eligibility levels for annual incentive plans. Nonetheless, an internal understanding of the relationship between the annual incentive plan and how dollars are allocated between executives and shareholders (especially between target and maximum payout levels) is an increasingly important aspect of the annual goal-setting process. Consistent with last year, 90% of sampled companies use two or three LTI vehicles for senior executives. However, in Meridian’s experiences, it is most common to grant just one vehicle below the senior executive level, most often restricted stock or restricted stock units (RSUs). Performance-based stock/unit awards continue to be the most prevalent LTI vehicle for senior executives. In the table below, the prevalence column represents the percentage of responding companies that grant a particular mix of LTI vehicles. The percentages listed under each vehicle heading represent the dollar weighting of that vehicle of the total LTI opportunity. Overall, the average weighting of LTI vehicles for reporting companies in 2017 is consistent with average weightings in 2016 and 2015. The results below are identical to last year with practice evenly split between equal or greater target LTI values in 2017 compared to 2016. Interestingly, for both those increasing LTI values and those decreasing LTI values, the percentage change was approximately 14%. Similar to last year, for reporting companies granting performance-based awards, the vast majority (70%) measure performance relative to an external benchmark for some portion of their performance grant. Approximately 90% of these relative plans are measured based on TSR. Similar to annual incentive plans, the vast majority of companies use one or two performance metrics to determine long-term incentive payouts. Consistent with recent years, TSR remains the most common long-term performance plan metric due to its transparency, alignment with shareholders and because it eliminates the need to set goals each year. When TSR is used, the average weighting within the plan is 73%. Further, approximately half (48%) of companies using TSR as a long-term incentive metric use it as the sole metric within the plan. In addition, some companies are using TSR only as a modifier to results based on other financial metrics (e.g., +/-25%). 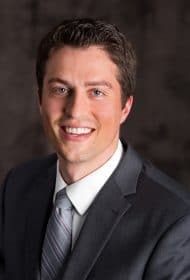 The Hartford Insurance Group, Inc.
Meridian Compensation Partners, LLC is an independent executive compensation consulting firm providing trusted counsel to Boards and Management at hundreds of large companies. We consult on executive and Board compensation and their design, amounts and governance. Our many consultants throughout the U.S. and in Canada have decades of experience in pay solutions that are responsive to shareholders, reflect good governance principles and align pay with performance. Our partners average 25 years of executive compensation experience and collectively serve well over 500 clients. Approximately 90% of our engagements are at the Board level. As a result, our depth of resources, content expertise and Boardroom experience are unparalleled. With consultants in ten cities, we are located to serve you. This survey was authored by Mike Rourke of Meridian Compensation Partners, LLC. Questions and comments should be directed to Mr. Rourke at mrourke@meridiancp.com or 313-309-2090.